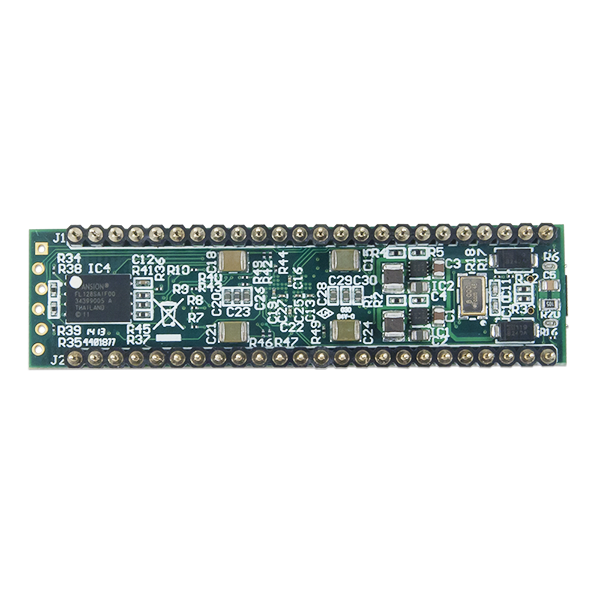 On-board Adept USB2 port for configuration, test and communications interfaces. 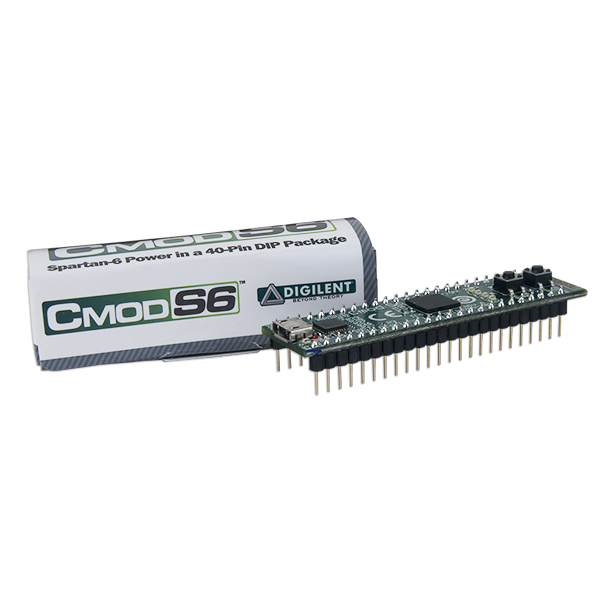 The Digilent Cmod S6 is a small, 48-pin DIP form factor board built around a Xilinx Spartan 6 LX4 FPGA. 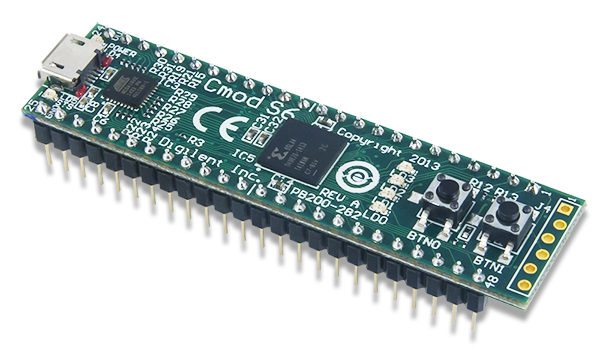 The board also includes a programming ROM, clock source, USB programming and data transfer circuit, power supplies, and basic I/O devices. 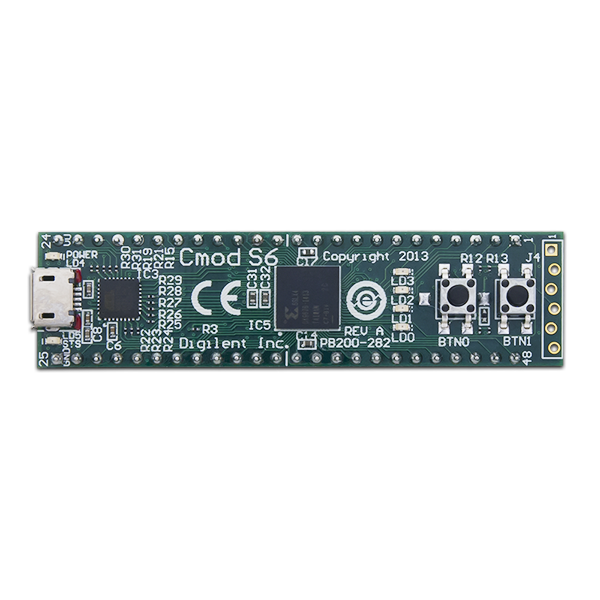 There are 46 FPGA I/O signals that are routed to 100-mil-spaced through-hole pins, making the Cmod S6 well suited for use with solderless breadboards. 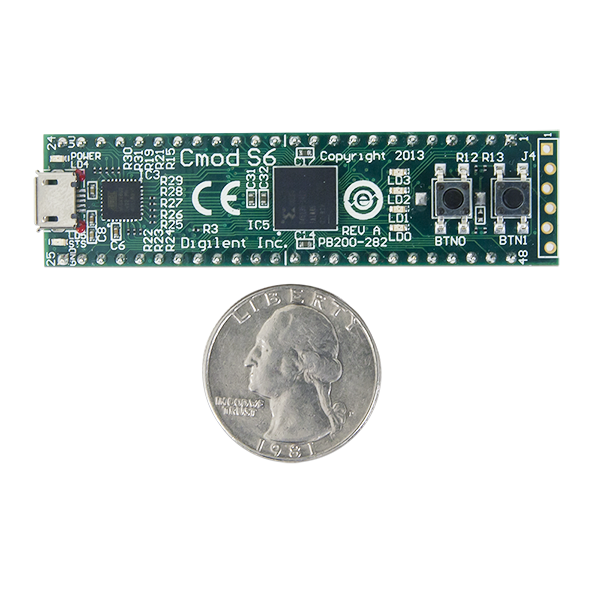 At just .7” by 2.6” inches, it can also be loaded in a standard socket and used in embedded systems.